TCGplayer has created one of the most efficient shipping hubs in the country for collectible card games, so let us take care of your orders - you sell your cards, and we’ll ship them out. Just focus on pricing your inventory and TCGplayer will provide 100% coverage for lost packages, condition disputes, and more. Cards from Sellers in TCGplayer Direct are featured items on the TCGplayer Marketplace. 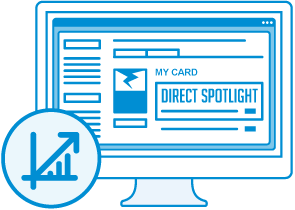 This gives you a great advantage in listing your cards and can lead to dramatically increased sales, as Buyers seek to get every card together in one package with TCGplayer Direct. 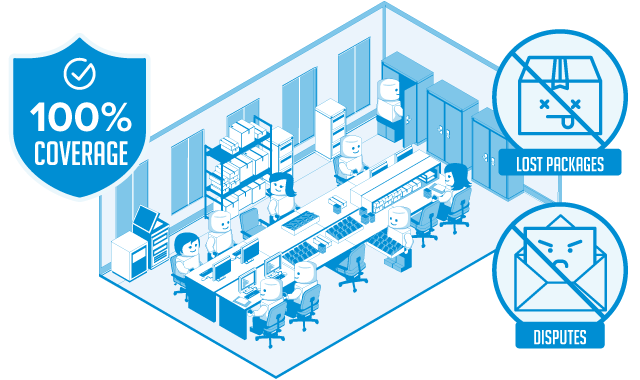 TCGplayer Direct comes with a dedicated Customer Service team standing by to resolve any issues on your behalf. 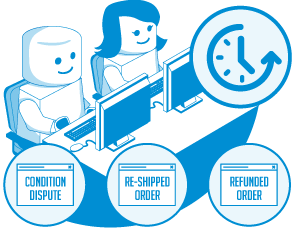 This means you run your business while TCGplayer takes care of any refunds, re-shipments, or special requests from your Buyers. Buyers know to expect that the packaging, delivery, and customer service are all taken care of by TCGplayer. TCGplayer Direct is designed to help Sellers of all sizes grow their business. Even small orders are profitable thanks to our revolutionary fee structure. There is no commission on any order under $2.00 - you simply keep half of the total value for those orders. 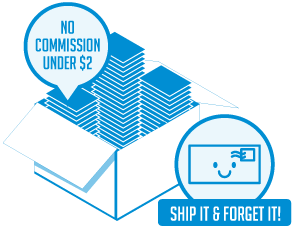 And, since you’ll send all of your sold cards to TCGplayer together in one box, you won’t have to worry about individual postage, time spent pulling and packing individual orders, or providing individualized customer service - just ship it and forget it. Set your prices and list your cards, just like you do now. As orders come in, TCGplayer will ship out cards on your behalf, using our own carefully managed inventory. Then, when the time is right, we’ll ask you to ship us your copies of the sold cards. Meanwhile, we’ll handle any customer service issues, and you’re able to focus on running your business, worry free. Think TCGplayer Direct can help you grow your business? Click here! How do I ship my TCGplayer Direct RIs?